Pesticides have been know to be endocrine blockers, but new British studies reveal that pesticides also block male hormones. Pesticides are screened to determine if they block testosterone or other androgens. However, only a few chemicals get screened by the EPA every year leaving hundreds of other chemicals dissolved into our food and water. Someone in class mentioned how nuclear technology and radiation where used in the medical field, and I wanted to know more about it. I knew radiation was used, but radioisotopes are also used in the medical field. Radioisotopes allow doctors to detect tumors or fractures, measure blood flow, or determine thyroid and pulmonary functions in patients. Not only are radioisotopes used, but idione-131, a fission product, is used in diagnostics test for certain thyroid disorders. Science cannot only be explored through experiments or venturing out in the field but also through literature. Scientific novels allow us to see science through a fictionalized story such as I, Robot. I, Robot is a science fiction that was written by Isaac Asimov in 1950. 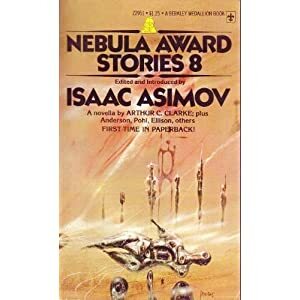 Along with I, Robot, Asimov has also written several other award winning scientific novels. 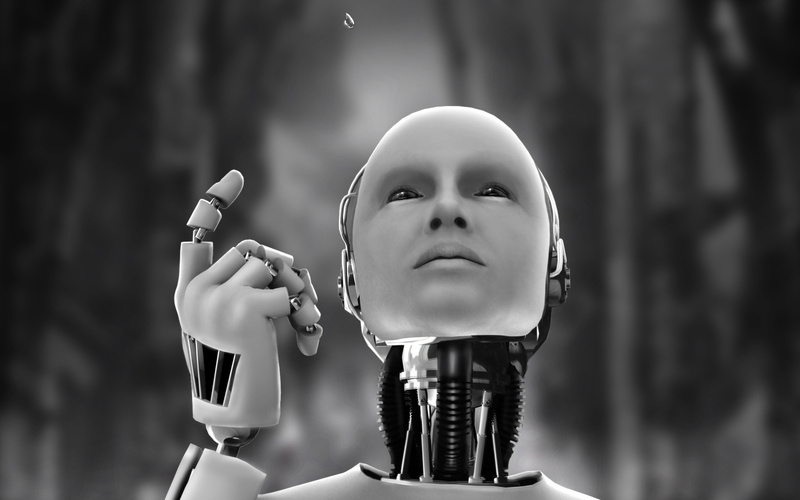 In I, Robot, several different scientific discoveries, such as expeditions to other planets and creation of robots, are mentioned along with underlying messages on ethics in scientific experiments and psychology. Isaac Asimov was born on January 2, 1920 in Petrovichi, Russia to proud parents Juda and Anna Asimov. His family moved to Brooklyn, New York in 1923 where his family owned a candy store (Gunn, 1982). Asimov taught himself how to read at the age five, and he skipped a total of one and a half years of grade school during elementary. He completed junior high school in two years instead of the usual three and graduated high school at the age of fifteen. Asimov had the ability to retain information really well, but soon noticed that he lacked ability to grasp mathematics or economics. He began to write a series of books at the age of eleven. Being the elderly son, Asimov’s father wanted him to become a physician rather then writing books. Getting into medical school for Asimov was not easy. Medical schools back then had quotas on the number of Jewish students they could allow, thus Asimov never applied to medical school. He graduated with a bachelors of science degree in chemistry from Columbia University. Then he tried to reapply to medical school again but got rejected again, so he obtained his M. A. in 1941. World War II broke out when he was trying to get his doctorate, so he put a halt to his education to become a chemist at the United States Navy Yard in Philadelphia. In 1948, Asimov finally earned his degree and was offered to work at Boston University School of Medicine as an instructor in biochemistry. His passion to write scientific novels never really left him, and once again began to write. He published his first story Marooned of Vesta in April 1940 in the Amazing Stories. Best of Isaac Asimov books all in one. had taken place during the procedure, and the blood used had been tainted with HIV. In 1992, Asimov died of AIDS. I, Robot is essentially nine short stories blended together to seem like events that occurred in Doctor Susan Calvin’s life time while working at United States Robot and Mechanical Men Incorporation. The introduction starts out by giving a brief background of Dr. Calvin. An interview (who’s name never gets mentioned) wanted to know more about Dr. Calvin’s life while working for U. S. Robots to feature an article in Interplanetary Press. Susan goes on telling the interviewer nine different stories about robots all revolving around the ethics on creating and using robots. The first story is about the first robot ever made in 1996. His name was Robbie and was sold to be a nursemaid. In this story, the mother is afraid Robbie will get “some little jiggers” and “will go berserk” hurting her daughter Gloria (Asimov, p. 25). Mr. Weston reminds his wife “that it is impossible for a robot to harm a human being” thus Gloria is perfectly fine playing with Robbie. Eventually the Weston’s get rid of Robbie, and Susan continues to talk about U. S. Robots. 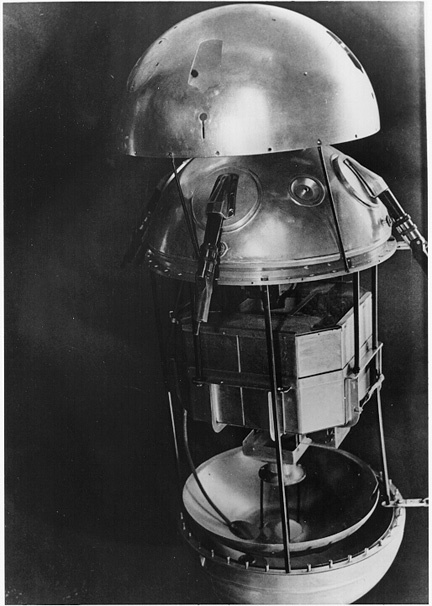 She then mentions the Second Mercury Expeditions led by Michael Donovan and Gregory Powell with the help of robots. The next chapter is called Runaround, and Dr. Susan talks about the accident Powell and Donavan ran into with a robot called Speedy. Donavan had told Speedy to get selenium without putting urgency into the order. Certain terrains on Mercury were harmful to both humans and robots, so when Speedy went to collect selenium he ran into a dilemma. The third law would not allow him to get close enough to the selenium pool, but the second law made him obey Donavan’s order. Powell and Donavan eventually figure out how to make Speedy get selenium back to the station in a timely fashion. The third chapter mentions another run in Powell and Donavan have with a robot called Cutie. Cutie believed he had a higher intellectual Master who had built him and would only obey to the Master. Powell figured out Cutie is a reasoning robot and there was not getting through to Cutie. The two men leave the station after knowing Cutie could handle the station alone and go back home to a six month vacation. Upon arriving back to U. S. Robots, a new robot had been created. The new robot was one big robot with six tinier robots working underneath named Dave. Dave malfunctioned and could not control six robots at a time decreasing his initiative. Gregory figures out that Dave can only be in charge of five robots at a time in order to fully function properly. The interview stops Susan from mentioning any other robots in space and asked her about robots on Earth. She mentions her own run in with Herbie the “lying robot”. Herbie was the first mind reading robot ever created due to an error during the creation of his positronic brain. Dr. Susan, who is also a robopsychologists, figured out that Herbie was just obeying the first law of robotics, and thus would lie about things when questioned. Herbie could read what people were thinking and what they wanted, so he would lie to them to make sure he would not hurt them. In the next chapter, Dr. Susan mentions the creation of a ship from The Brain at U. S. Robots. Consolidated Robots approached them wanting to know what was wrong with their ship design, so they had The Brain replicate a new ship. The Brain was told to look at all the paper work , and to reject anything back with discrepancies. However, The Brain just fixed whatever was wrong and built a new ship. Powell and Donavan get stuck in the ship, and The Brain send the ship off into space. Not knowing where the two had been, Dr. Susan and others started to worry, but she knew The Brain had to still abide by the first law thus The Brain would keep the two scientist out of harms way. With this mishap, the government perfected the Jump through hyperspace allowing human colonies on other planets. Dr. Calvin saw everything form the beginning of creating the robots to them standing between mankind and destruction. At the end she tells the interviewer she will see no more and resigned. 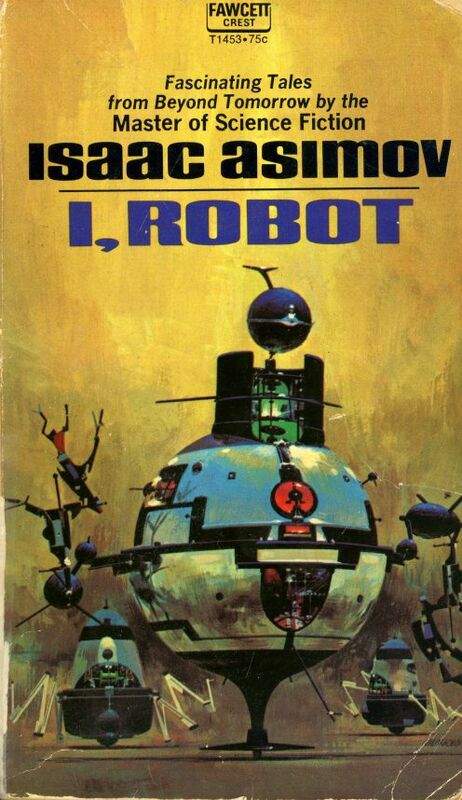 Asimov mentioned several robots throughout his novel. Robotics in the 1940s and 1950s was based on two technologies: mathematical control and teleoperators (“World-Information”). In 1940, Asimov released his first short story called “A Strange Playfellow” stating the three laws of robotics (Isom). Artificial Intelligence was the basis in I, Robot the movie. October 4, 1957, when the Soviet Union launched their very first spaceship, the Sputnik (Garber, 2007). The space race had begun, and the United States started to create robots and spaceship to be sent into space to study the moon and other plants. On August 20, 1975, the United States launched the Viking equipped with the first space robot (Viking 01). Robotics further advanced from not only being used for expeditions or industrial prototypes, but as well in medicine. In 1998, Dr. David Gow created the first bionic arm called the Edinburgh Modular Arm System to allow disabled individuals to perform independent daily activities (Patel). With more advancements that had occurred in science, Asimov created more stories such as “Lair!,” “Reason,” “Little Lost Robot,” etc. The robots in his stories also progressively became more advanced, and he also included sever voyages to different planets with these robots. He even went beyond his time era and mentioned humans living on other planets with Machines along their sides guiding their future. I believe that newer discoveries in robotics and space expeditions during Asimov’s time influenced each one of his robot stories, but one key aspect in Asimov’s stories was the ethics behind all these experiments. Asimov’s whole book is based on the ethics behind robotics. He was the first person to create the three laws of robotics. The first robot Asimov talked about was Robbie. 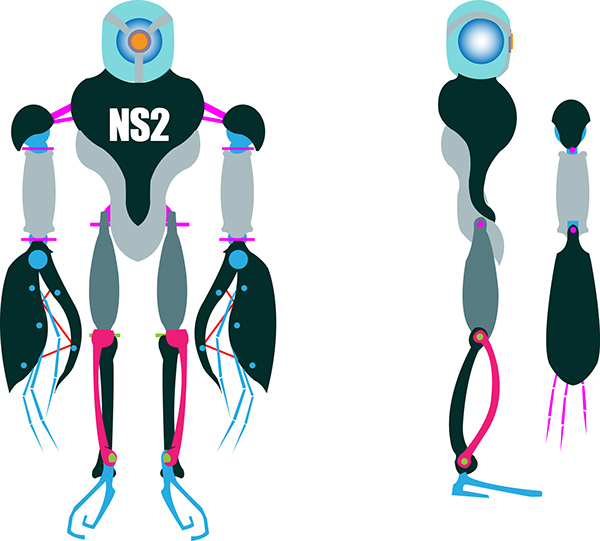 the First Law was not impression in the NS-2 model robots in the chapter “Little Lost Robot”, the robots lost the capability to protect humans as their number one priority. I believe the underlying message Asimov is trying to state is that you should not tamper with things far past their limits especially when the knowledge is no present. He was the first person to even come up with the idea of robots, but he knew some laws had to be created in order to keep things in line. Asimov at his time was the father of science fiction novels publishing over a hundred sci-fi novels. He took his knowledge of current scientific discoveries into play when writing his books, but he also tried to predict the future in robotics. Asimov depicted his story in such way to reveal not only the different aspects of robotics and expeditions but also the key role of ethics (a.k.a. his three laws of robotics) in scientific experiments and discoveries. A few interviews with Isaac Asimov that are worth watching. Asimov, Isaac. I, robot. New York: Bantam Books, 1950. Print. Garber, Steve . “Sputnik.” Sputnik. N.p., 10 Oct. 2007. Web. 30 June 2014. <http://history.nasa.gov/sputnik/&gt;. Gunn, James E.. Isaac Asimov, the foundations of science fiction. Oxford: Oxford University Press, 1982. Print. 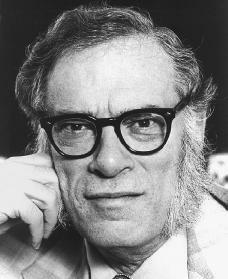 “Isaac Asimov.” Isaac Asimov. N.p., n.d. Web. 1 July 2014. <http://www.nndb.com/people/702/000023633/&gt;. Patel, V. R., M. F. Chammas, and S. Shah. “Robotic assisted laparoscopic radical prostatectomy: a review of the current state of affairs.” International Journal of Clinical Practice 61.2 (2007): 309-314. Print. “Viking 01.” Solar System Exploration. N.p., n.d. Web. 2 July 2014. <http://solarsystem.nasa.gov/missions/profile.cfm?Sort=Alpha&Letter=V&Alias=Viking%2001&gt;. “World Biography.” Isaac Asimov Biography. N.p., n.d. Web. 1 July 2014. <http://www.notablebiographies.com/An-Ba/Asimov-Isaac.html&gt;. I chose to read I, Robot by Isaac Asimov. 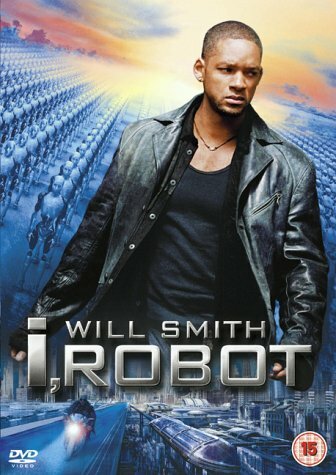 I-Robot, a science fictional novel, was published in 1950 and later became a movie in 2004 featuring Will Smith. Isaac Asimov was born on January 2, 1920 in Russia. His family immigrated to Brooklyn, New York when he was toddler. Asimov taught himself how to read by the age of 5. He graduated in 1939 form Columbia University with a Bachelors of Science in Chemistry (Isaac Asimov). He wrote several short stories that got published in scientific magazines and had several books published such as The Gods Themselves, The Mule, and Foundation stories. I, Robot is story within a story about the use of robots in the twenty first century. An interviewer interviews Doctor Susan Calvin about her experiences of working at United States Robot and Mechanical Men Incorporation. She tells the interview about several mishaps that occurred and about specific robots. The first story she tells is about a robot named Robbie who was made and sold in 1996. Robbie was a non-vocal robot sold as a nursemaid. Dr. Susan talks about the Weston’s who had purchased a Robbie for their little girl, Gloria. 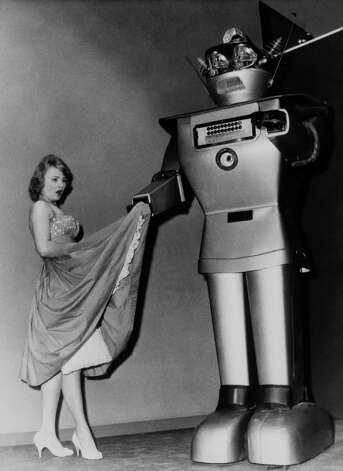 Mrs. Weston feared that Gloria was around Robbie too much, so she had Mr. Weston give Robbie back to U.S. Robots. After this story, Dr. Calvin goes on talking about several expeditions that humans took with robots along their side. Throughout the book, the three laws of robotics are mentioned, and Asimov is later credited for coining the robotics. The first law states, “a robot may not injure a human being, or, through inaction, allow a human being to come to harm”. The second law states, a robot must obey the orders given it by human beings except where such orders would conflict with the First Law. The third law states, a robot must protect its own existence as long as such protection does not conflict with the First or Second Law. Dr. Calvin mentions several scenarios of robot malfunctions that arose due to the commands given to these robots, which contradicted the three laws. Several other issues arose when the robots positronic brains got altered or when the robots started to become more like humans. The novel centers itself around the three laws along with psychology, and the ethics behind scientific experiments. I choose to read this book because it seemed to be easy to understand, and was written a little more recently then most of the other books. I have also seen the movie I, Robot and wanted to see how the book was like. The movie is completely different from the book, and personally liked the book better. After reading this book, one can better understand what scientists thought the future would be like and learn more about important scientific events that took place in the late twentieth century. After seeing the effects DDT had on animals, I was curious on knowing how it affected humans. I found this study done in California which revealed that: women exposed to DDT at an early age were most like to have a higher chance of getting breast cancer. These young women’s breast tissue was more vulnerable to the effects of DDT thus ended up with breast cancer. “Atomic Mouse” is a series of comic books created by Al Fago. 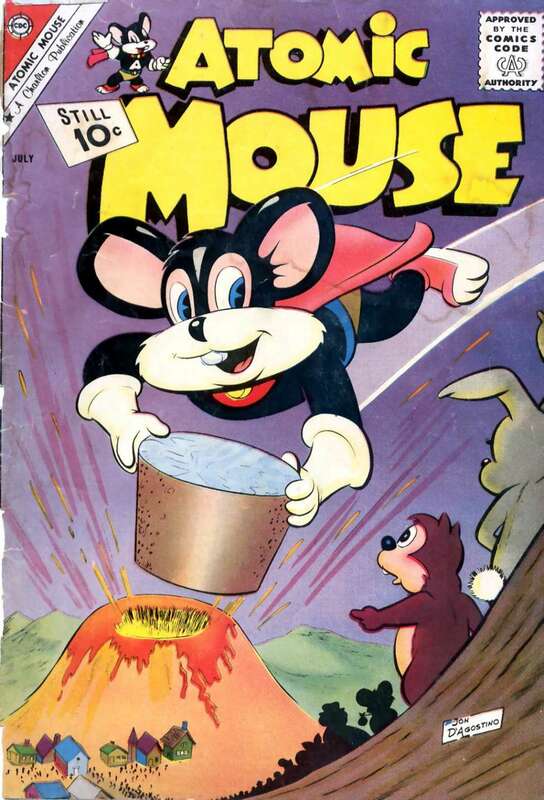 It is a story about an ordinary mouse, Cimota Mouse, who takes U235 and turns into a super mouse called Atomic Mouse. Cimota Mouse is Count Gatto’s little pet that gets magic tricks done on. One day Count Gatto turned Cimota Mouse into a tiny mouse the size of atoms. He meets a few atoms who give him the U235. After becoming Atomic Mouse, he helps keep his town peaceful and has to often fight of his old master Count Gatto. The comic captures the views on atomic energy of people from the early 1950′s. Atomic Mouse reveals how people believed U235 made people stronger and better. It also reveals how people in the 1950′s believed that nuclear energy could keep America safe.